There’s been some news on the writing front for me: I had a new book come out in September, and I have another new one coming out in two weeks. I haven’t made much of a ruckus about it around here because I’ve been busy with this. 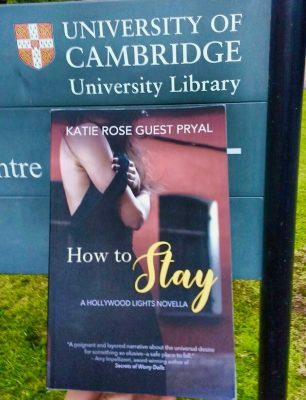 My new book, How to Stay: A Hollywood Lights Novella, is a long novella/short novel set in the storyline of my Hollywood Lights series. 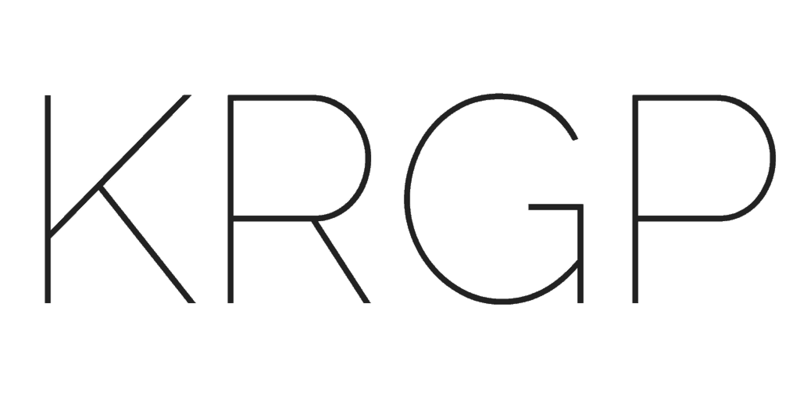 It launched on September 12th. An intrepid reader of my work who happens to live in England took How to Stay on some adventures, and she shared photographs with me. 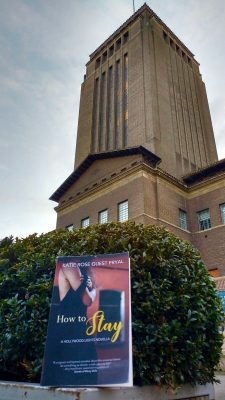 She took the book around Cambridge, England, most impressively near the library, where my book was very happy to find itself. 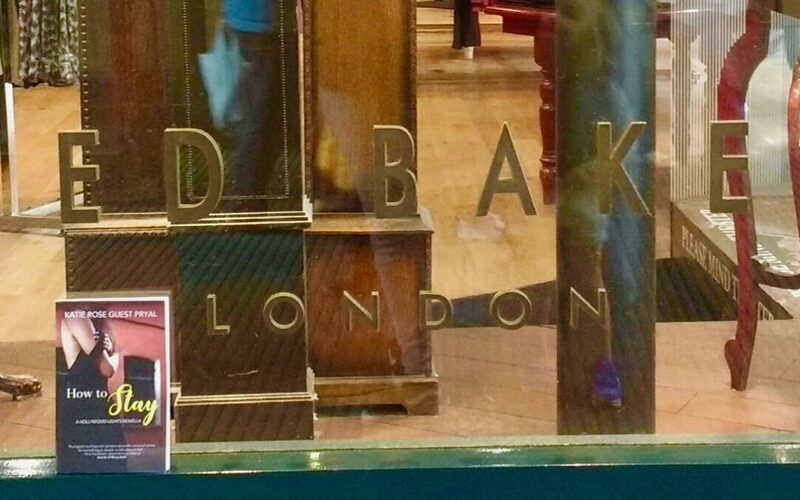 The best, perhaps, was the outing to the Ted Baker store, a clothing line which this author herself likes very much. 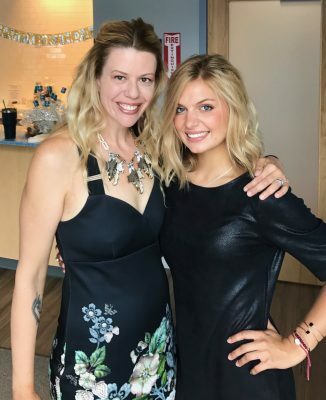 See below: The author, with her niece, in Ted Baker (on left). 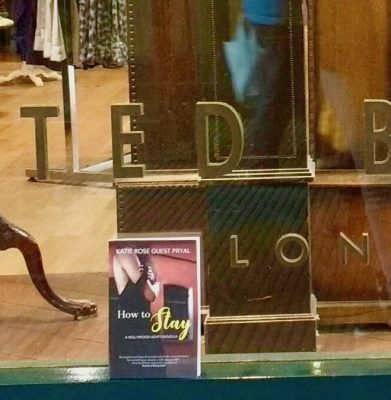 How to Stay on Ted Baker (on right). Engaging characters lead the reader through a poignant and layered narrative about the universal desire for something so elusive—a safe place to fall. Make no mistake, this novella contains a tremendous amount of depth and insight in its condensed pages. You’ll be left wanting more of the Hollywood Lights series as soon as the last page is turned!